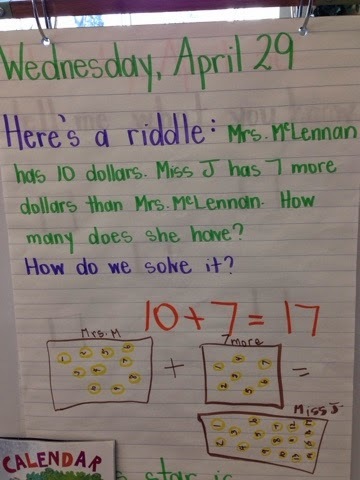 We challenged the children with a math riddle during our morning message. They immediately solved it using pictures and numbers as their strategy. What great thinkers!